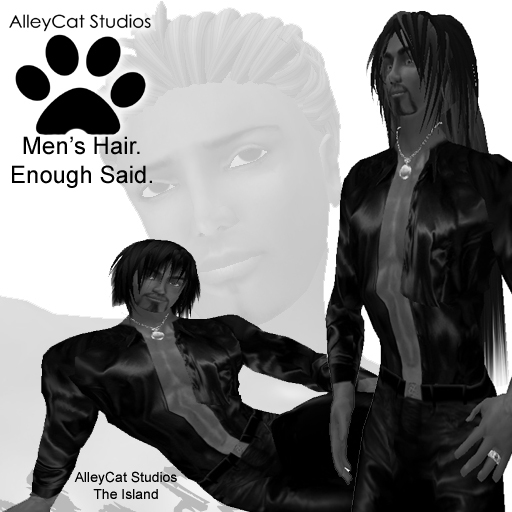 AlleyCat Studios has Mens Hair. Enough Said. My virtual store in Second Life now has a brand new line of mens hair in vibrant colors! It is pretty exciting for me. it took a long time to create these first few styles but it is a start and I will do more! You can see it by visiting AlleyCat Studios Island in Second Life itself. Or you can check it out on the web on SLX HERE.